Raccoons in your home can pose serious problems. These critters often chew on wooden beams and other items, which can affect the structural integrity of your home. They can also carry diseases and make your life tough. Your ears are likely going to alert you to the presence of raccoons before anything else. Raccoons are nocturnal creatures that will make a lot of noise at night. You may hear them scratching or moving about in the late evenings and overnight. If you have more than one raccoon in your home, you will likely hear them wrestling around, which is common if a female raccoon had babies in your home. If the raccoon is in the attic, you may notice staining on the ceiling from raccoon urine. You may also notice a foul smell from the raccoon urine and feces. An even stronger odor is possible if it dies in your home. When you discover that you have raccoons in your house, you might be tempted to try to get rid of them yourself, but doing so isn’t a good idea. Raccoons can carry rabies, are often aggressive, and can be very hard to remove. You should contact a raccoon removal specialist when you need to get these pests out of your home. Not only can this keep you safer, but it can also mean that you get rid of them faster and for good. 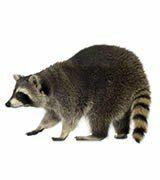 The experts at Critter Control® Ft Worth uses proven techniques to get raccoons out of your home. 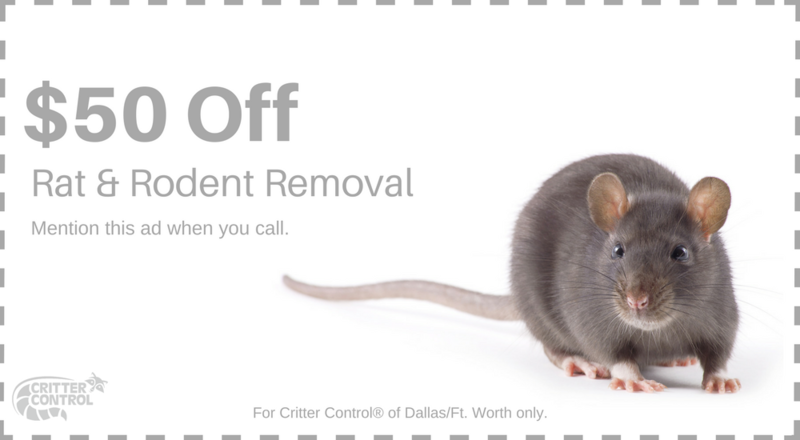 Don’t wait until these critters do too much damage, call us today at 469.805.6267 for your free consultation.